Megyen has dedicated herself to the practice, study and teaching of yoga since discovering its benefits and joys while recovering from three herniated disks. Her style of teaching comes from being injured. She knows firsthand what it is like not to be able to do many of the poses due to injury. Her philosophy on yoga has always been that it is YOUR yoga practice, not mine, nor your neighbor’s. Do what your body will allow at this moment for each moment is a different moment. Megyen spent six months in sunny California immersing herself in Bikram yoga teacher training. She came back to Ohio and began teaching in various sites throughout the community (and still does). While teaching yoga she began teaching exercise classes and is certified Silver Sneakers, Pilates, Barre, and group fitness instructor. She loves learning and is always taking small workshops to enhance her knowledge. 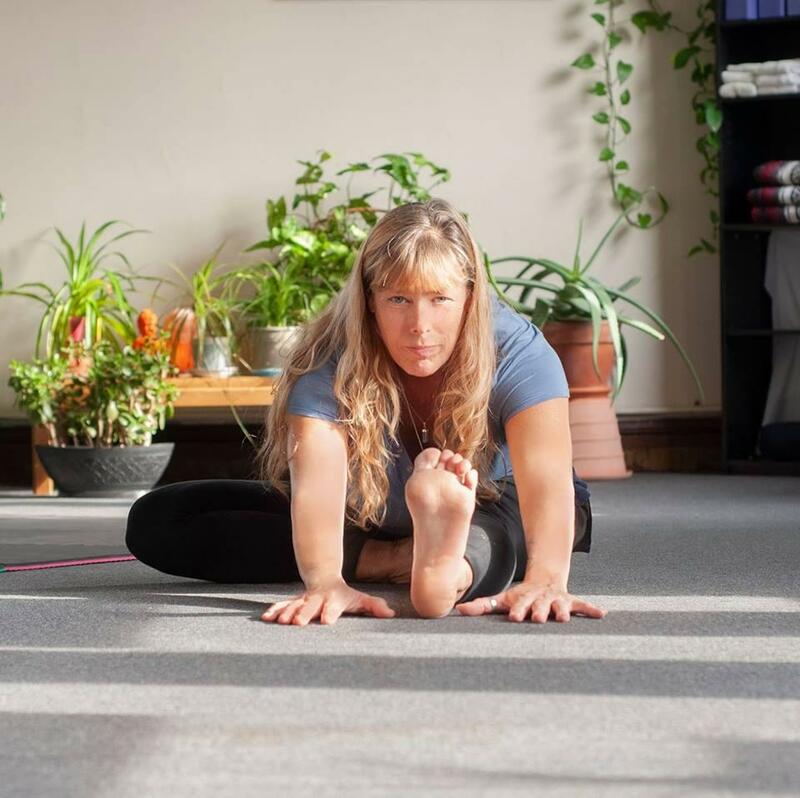 April 2019 brings in a new chapter in her life as she has committed the next nine months to Kundalini yoga teacher training and is excited to bring Kundalini yoga to Zanesville. She has been a yoga instructor for over 20 years and attuned Reiki Master. Megyen’s Yoga Room came about when the YMCA closed its facility on McIntire Avenue. Megyen’s Yoga Room was the first yoga studio in Muskingum County and has been in business since 2012. We pride ourselves in offering yoga to everyone in a relaxed atmosphere. I am a wife, Mom of 3, grandmother of 1, stepmom of 1, a daughter, a sister, a RN, personal trainer, and yoga teacher. I have taught fitness since 1993 back when Step Aerobics was the “in” fitness program. Soon after I picked up kickboxing and incorporated it with my step class. A few years went by and I started teaching Spinning. Then I started competing as a Fitness Competitor, eventually qualifying for Nationals. Since then, I have taught Zumba, Piyo, and Pound. All were fun but…..
After a traumatic life experience in 2014, I needed something more!! I started practicing yoga in my home, following Yoga with Adrienne on Youtube. She was a huge inspiration to me for teaching me what yoga really is all about. I needed internal peace and healing, and trust in the outside world. After about 1 year of faithful practice, I started to experience feelings inside of me that had been kept hidden for quite a while. A sense of peace and healing within my mind, body, and soul started to change me. goal. I wanted others to feel and experience what was happening to me with my own practice. I want others to heal and find internal peace. I started my yoga journey when my mother checked out a couple of books in the 70s with black and white pictures of mysterious entanglements and extreme facial expressions. Yoga became a lifestyle for me about 20 years later when I was reintroduced to Bikrim and Kundalini style yoga in Muskingum and Guernsey counties. A six year “working vacation” to Alaska allowed me to deepen my practice while learning under teachers from various cultural and yoga backgrounds. I have incorporated Iyengar training (allowing proper alignment with props) into the style of yoga I teach. Hatha Yoga focuses mainly on physical postures (Asana) with breathing techniques (Pranayama) to help us become more aware of our bodies in space and the alignment of our structures. In Vinyasa (meaning literally “to place in a special way”) we link our breath to a series of poses. Consciously moving through poses with our breath gives warmth and flexibility to our muscles, tendons and joints. Regular practice and responding with compassion for ourselves and our present physical and spiritual state leads to patience, growth and strength that we can carry off of our mat to our everyday lives. Yoga is like a warm hug for our souls through postures and breathing. I love introducing people to yoga and helping them work through what arises in a non-competitive, nurturing way. I feel that flexibility in our daily practice and staying open to new experiences in yoga (and in life) are important. I am Yoga Fit and AFFA certified. I came to yoga as a lot of us do….Seeking, seeking that still breath, that peace, that healing. I entered my 200 RYT ready to learn about that breath and peace. Along the way I discovered how much I enjoyed helping others find that stillness they had been searching for. This journey has been a blessing, offering healing with each breath both teacher and student. Finding the joy and love with yourself is the goal. Learning to Just be. Carrie originally delved deeper into the world of Reiki to learn how to self-heal herself and others in need. Reiki is a simple technique to relieve stress and pain and promote wellness. It promotes the flow of energy (chi, prana, etc.) and balancing energy centers (Chakras) in the body which in turn allows the body to function in a more holistic manner on the physical, mental, emotional and spiritual level. Carrie utilizes touch therapy, crystals, color therapy, healing symbols, essential oils, Thai yoga massage, heated rooms, and sound therapy in her practice to assist in balancing energies in the body. Even simpler, her style includes relaxing light touch massage to create a pampering, soothing feel which makes the client feel extremely relaxed and assists them going into a meditative (or state of consciousness between waking and sleeping) state if they so choose. She has seen the power that Reiki has given her clients in taking back control of their life via keeping their energies in balance. Self-care (which also includes things like meditation, traditional massage, reflexology, yoga, exercise, and time in nature) is vital for a healthy mind, body, and spirit. Carrie has also been a Marketing Consultant for Megyen’s Yoga Room since September of 2016, is active in workshop planning for the studio, and has created much of the permanent wall art. 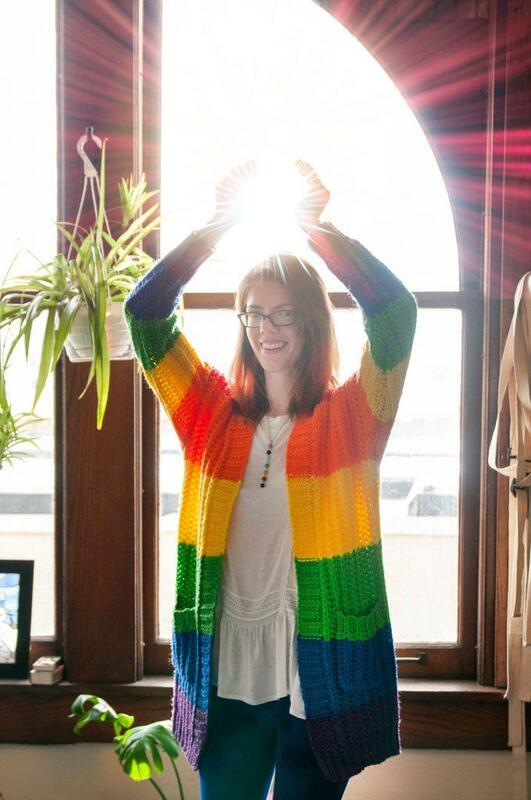 She is available for private Reiki sessions, Power Reiki sessions (2 Reiki practioners at the same time), group Reiki or Reiki/yoga workshops with Megyen Green, Reiki Shares with other practioners, color therapy sessions, Thai yoga massage sessions, and crystal/crystal grid information sharing. To contact her, follow Megyen’s Yoga Room on Facebook and/or e-mail her at butterflyturner@hotmail.com. I fell in love with yoga eight years ago when I was going through infertility treatments. I was introduced by a colleague who was teaching yoga classes to our staff after school. I was amazed at how clam my anxious mind became and how gratifying my body felt after committing to even a quick, simple yoga practice several times a week. Between having our son and daughter, I became a “Basement Yogi” for 5 years. I learned from yoga books, magazines and following yoga videos on YouTube in our basement late at night once the babies were asleep. I finally got the courage to step back into a yoga studio and I fell in love with yoga again. The more I practiced with a group of human yogis’, (rather than a t.v.) the more I wanted to learn and push myself. Being a first-grade teacher, the eagerness to want to teach people who want to grow their practice and introduce yoga to people who may have never experienced yoga came naturally. This has led me to the next chapter in my yoga journey. I completed my 200 HR yoga certification through YogaFit in March of 2019. During my coursework, I also became certified in yoga for kids, seniors, and prenatal yoga. When I am not teaching classes in the studio or practicing, I love showing my first graders how incorporate mindfulness and movement into their daily routines. My yoga classes and personal practice is a unique mix of all styles, from the heart, and aligned to YogaFit’s SPA principles. I strive to show all students that enter my class how yoga can be a safe, meaningful experience for any body and ability type. I am married to my husband, Greg and we have two children, Fletcher and Paisley. My kiddos are also learning to love yoga and it is becoming a weekly tradition for us. In my spare time I love home improvement projects, gardening, shopping and spending time with family and friends.